Special room rates are available for the Hotel listed below for the duration of MSO-ASM 2019 (22 to 24 March 2019). Participants are required to make reservations directly with the hotel. We would also advise participants to make travel arrangements well in advance as it will be peak season during that period in Kuantan. 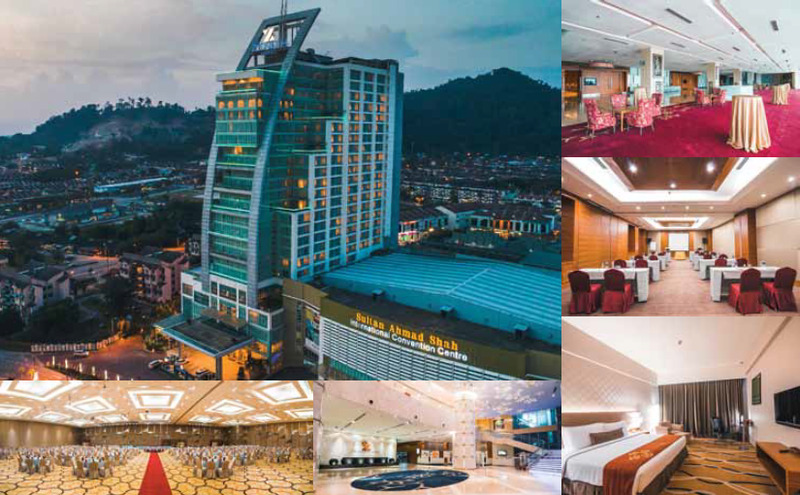 Located in Kuantan, Pahang, Malaysia, the Zenith Hotel features 519 modern and comfortable accommodation. This 5-star city hotel provides you with spacious and comfortable rooms, delightful cuisines, relaxing spa extravagant ballrooms and many other facilities, created for the guests a total experience of the Zenith Hotel. Kuantan, the state capital of Pahang, is located on the east coast of Peninsular Malaysia, and facing the South China Sea. It is fast developing into a modern commercial centre, yet retaining its unique age-old charms. Now, modern high-rise structures coexist harmoniously with pre-war shop houses and colonial buildings. Kuantan is vibrant, clean and punctuated by lush greenery that gives the town a refreshing countryside atmosphere. Food is easily available as there are many restaurants and open air food stalls selling local culinary delights. Its nightlife is an affair of colourfully decorated stalls selling anything from handicraft to costume jewellery and farm produce.